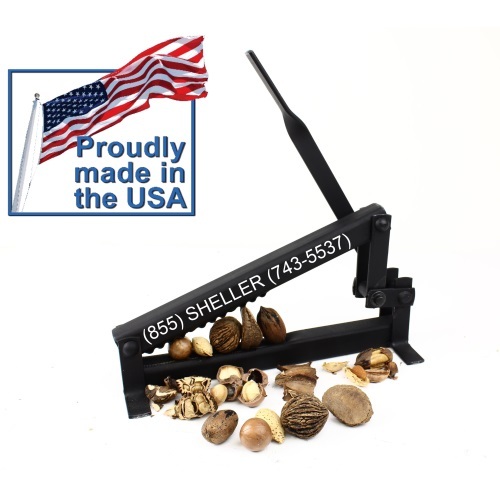 Get Crackin' Macadamia Nut Cracker - Black Walnut Cracker for Serious Nut Crackers! God made hard shell nuts and God made soft shell nuts. This nut cracker made cracking them all equal. I sell a lot of nut crackers. My Kinetic Kracker (Electric Pecan Cracker) and Drill Cracker (for black walnuts and hard shell nuts) are leading nutcracker sellers on eBay. I ship them around the world Even so, sometimes there comes along something that makes me say, "Why didn't I think of that!" This macadamia cracker is one of those items.